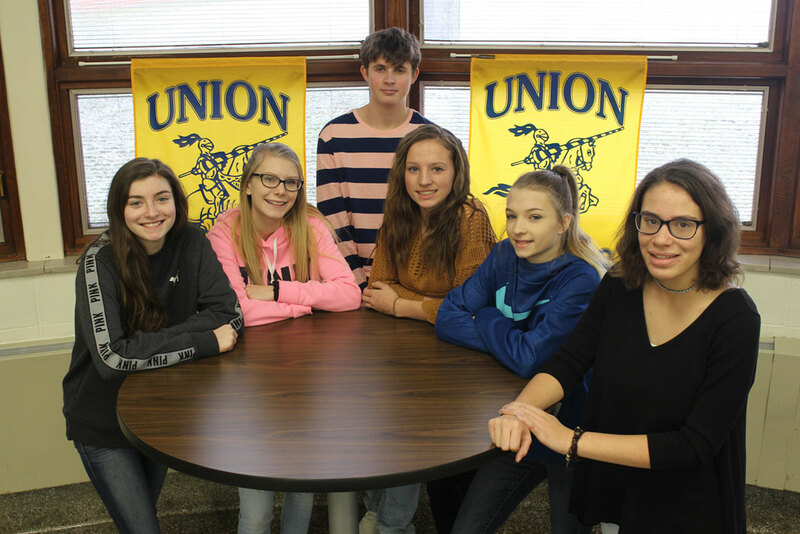 RIMERSBURG, Pa. (EYT) – A Public Service Announcement (PSA) video created by Union High School’s Speech and Debate class has been selected as a finalist in the 7th Annual Prevent Suicide PA PSA contest. Union High School teacher Kenny Gibbs’s Speech and Debate class is one of eight finalists in the statewide contest. Students were asked to write, direct, and produce a 60-second PSA that directs young adults to counseling resources for those who are considering suicide. “This is an amazing accomplishment considering the school lacks production studios and resources available to many wealthier school districts,” said Gibbs. The contest provides students the opportunity to engage in a dialogue around suicide prevention and highlights the importance of positive messaging and communicating effectively. The staff who have participated in the past have seen this as a way to teach students on many levels — academically, socially, and emotionally — and students have been empowered to use their voices to reach out to their peers, according to a press release issued by Prevent Suicide PA.
Schools were invited to submit one entry in each or any of the following categories: 30-second video, 60-second video, 15 or 30-second audio, and poster. All entries that are selected as finalists remain on the Prevent Suicide PA website for public use and will be shown during morning school announcements, displayed at various events, printed and distributed to schools and organizations, and used in promo materials. All of the winners are honored and receive a certificate of recognition. PSA winners are invited to attend one of the Suicide Prevention at the Ballpark events in PA and given the opportunity to participate in Capitol Day at the Capitol Building in Harrisburg. Beginning on January 14, the public can cast their votes at psa.preventsuicidepa.org/2019psa/. Union’s entry is listed as Video G.
More information on the program can be found at http://psa.preventsuicidepa.org.